The Dutch, who are probably the one nation largely responsible for coffee spreading through the world, thanks to the trade and botanic skills. The Dutch governor of Malabar, India (where we get the Monsoon coffee from), sent a seedling originally smuggled out of the Yemen, to a colleague in Indonesia. The initial introduction of the seedlings was destroyed in an earthquake and flooding, and so further seedlings were ordered from Malabar. The replacement seedlings were planted in the mountainous areas of West Java, where they grew well. In 1711 the first “Java” exports found their way back to Holland. By 1724 the Amsterdam market was trading over 600 tonnes of Java grown coffee. It became extremely sort after, attracting a very large price, which drove up demand, and resulted in further mountainous areas in Indonesia to be planted with coffee. The Mandheling based coffees we enjoy today, where planted around end of the 18th century. 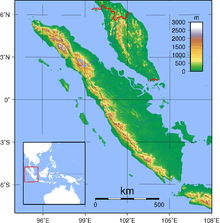 Even with when the British had a brief stint as the European country that had Indonesia as a colony between 1811 and 1816, coffee we still an important crop for the Indonesian Islands. Initially the local villages were allocated 1,000 coffee trees per village and the Dutch based governments took 40% of the crop as tax. This system stayed in place under British rule, however once Indonesia was restored to Dutch rule, the villages where allocated 650 trees of which 100%, where supposed to go the government of the time. This resulted in great hardship to the local people, who depended on their rice crops and these suffered as a result of this new Cultuurstelel (cultivation system). By the mid 18 hundreds the government controlled 80% of the coffee crop under this system (sounds like another system that failed in the 1989). However the quality and yield of the privately owned and run plantations was significantly higher than the government enslaved growers. By the end of the 19th century the private growers produced more coffee than the government run plantations. At this point all the coffee grown in Indonesia was Arabica , this changed with the well documented coffee leaf rust in 1876. When more and more plants where replaced with Robusta (or coffea canephora). In 1905 the Dutch released their control on the coffee plantations, and slowly but surely the smallholders took over the coffee plants and cultivation. Today 92% of the coffee produced in Indonesia is done by these smallholders. Although 85% of the Indonesian coffee is now Robusta based (including some of the so called “Kopi Luwak”) their highland grown Arabica based coffees are what make Indonesian coffees famous. Even though Indonesia is the 3rd biggest producer of coffee, the low number of Arabica produced makes their specialty grade coffee a relatively scarce resource. The Sumatran area we get our Mandheling from, is the largest producer of Arabica in the 17,508 islands that are covered by the Indonesian region, producing almost 60% of the regions Arabica. Catimor, a cross between Robusta and Arabica not appreciated for its great flavour.